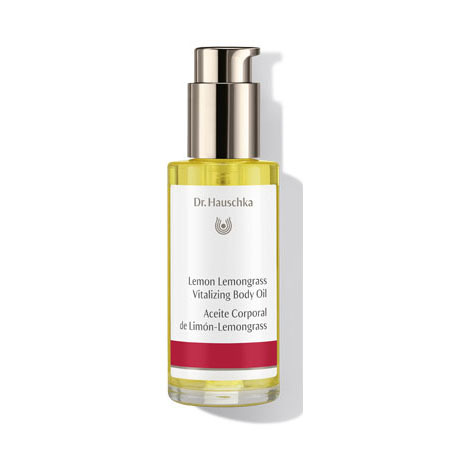 Formulation: Lemongrass, mistletoe, field horsetail and lemon peel are combined with sunflower oil, then carefully blended using unique rhythmic processing methods to allow the properties of the nurturing plants to be transferred to the oil. The lemon lemongrass Vitalizing Body Oil is just what I was hoping for. Light, bright scent, absorbs quickly! Yet another Hauschka body oil I have become very fond of! It absorbs well into my skin, without forming a greasy film on the surface, refreshes and invigorates the body, leaving it smooth to the touch and lemon-perfumed. I bought this body oil with Lemon Lemongrass Body Wash and putting it on still-a-bit-wet skin does wonders. the smell lifts me up, so I use it in the morning. It really does vitalize! It gets me going in the morning if I put it on then, I don't use it before bedtime since I want to wind down....at night I use the rose or lavender moor oil or creams. This is a great product that has become a part of my morning wake up routine. It has a peasant lemon aroma that really is energizing and helps me wake up and get ready for the day. Also - the great thing about it is that it absorbs very fast and doesn't stain the clothes. This leave my skin so soft - have tried so many lotions and none compare to this! I love this product, although it's a bit pricey. It is perfect for dry skin, smells delicious and really works so well. It is not too oily and it seeps into the skin immediately. It is the best summer scent. Love it! I'm using this product as a special treatment. It makes my skin very smooth and the scent gives me the feel like I'm back in Thailand. I will continue buying it. This is sooo refreshing, I found myself using it several times each day. We had a hot summer and somehow, this lemongrass body oil was so refreshing, to me. Smells wonderful too! Ideal for a firming, toning massage. Helianthus Annuus (Sunflower) Seed Oil, Citrus Limon (Lemon) Peel Extract, Cymbopogon Citratus Extract, Equisetum Arvense Extract, Viscum Album (Mistletoe) Extract, Simmondsia Chinensis (Jojoba) Seed Oil, Citrus Limon (Lemon) Peel Oil, Fragrance (Parfum), Citral*, Linalool*, Geraniol*, Farnesol*, Citronellol*, Eugenol*, Coumarin*. 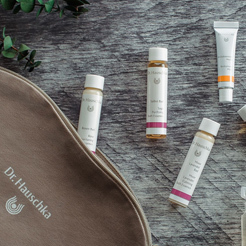 Learn about our Holistic Body Treatment.